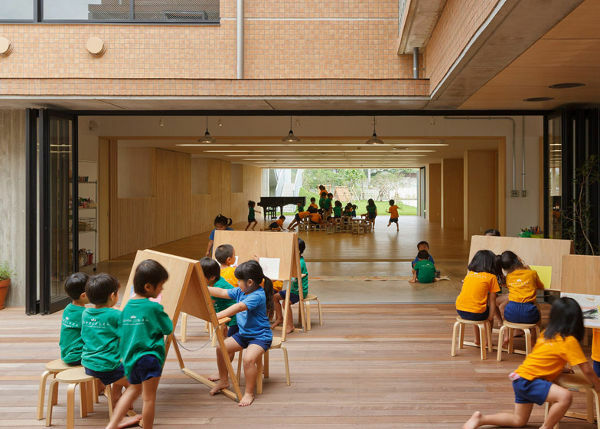 The brief for the designers of this stunning kindergarten was to give children protection from the rain and flying debris that come with the frequent typhoons that lash the Japanese island of Miyako-jima, and all while maintaining a creative environment! We think they did an incredible job. 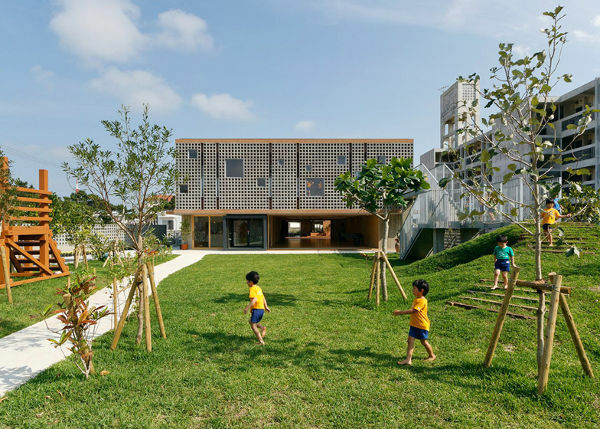 The Hanazono Kindergarten was designed by architecture studio Hibino Sekkei and sister company Youji no Shiro, on an island located around 400 kilometres off the coast of Taiwan. 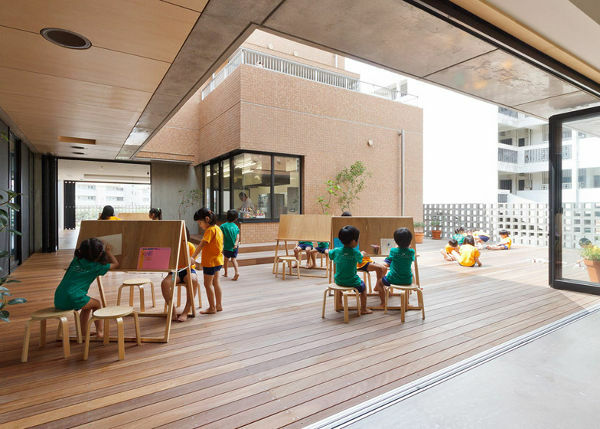 Although most kindergartens are designed with a learning environment in mind, this one had to have weather and climate conditions at the top of the list. 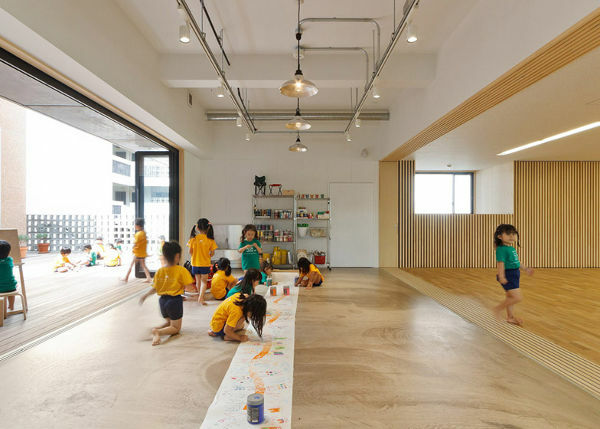 The kindergarten is a double-storey building, made from a steel-reinforced concrete framework. The aesthetic design was also well considered, with the walls clad in red ceramic tiles, which aim to match the red roofing materials often used in that region. Also common in local buildings are the concrete blocks. “Concrete blocks with holes, a typical building material from this area, offer protection from flying objects and shut out the sunlight while keeping views and wind,” said Taku Hibino. 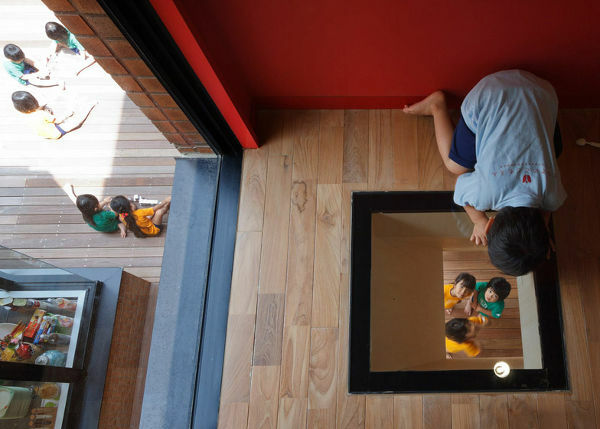 While the kinder is safe as houses, it’s also a fabulous play space for the children. 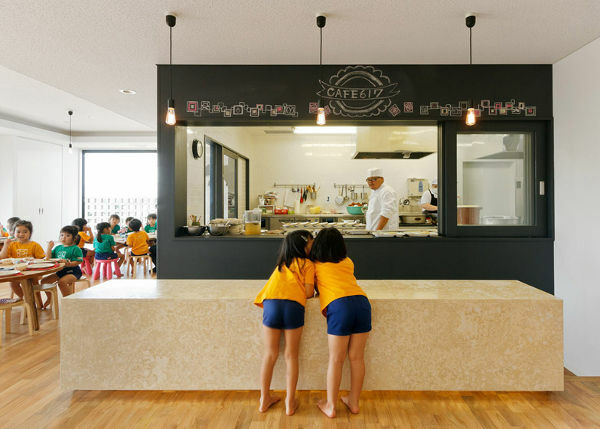 There’s a garden with play equipment, and a grotto, courtyards and terraces. Upstairs there are six rooms that the children can stay in overnight, if necessary. This kinder is both safe and stunning, striking the perfect balance between form and function.